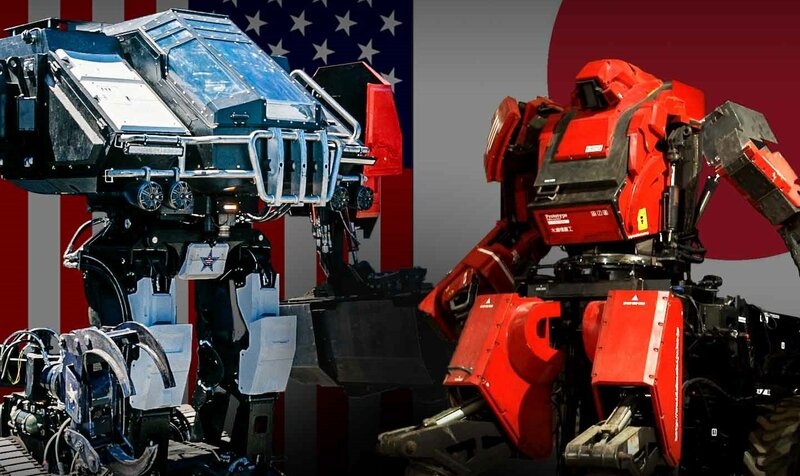 In 2012, the world was introduced to KURATAS, a giant 9,000 lbs piloted mech robot by Suidobashi Heavy Industries from Japan. The KURATAS was very much a prototype at the time and dubbed more as an "art piece" by its creators. 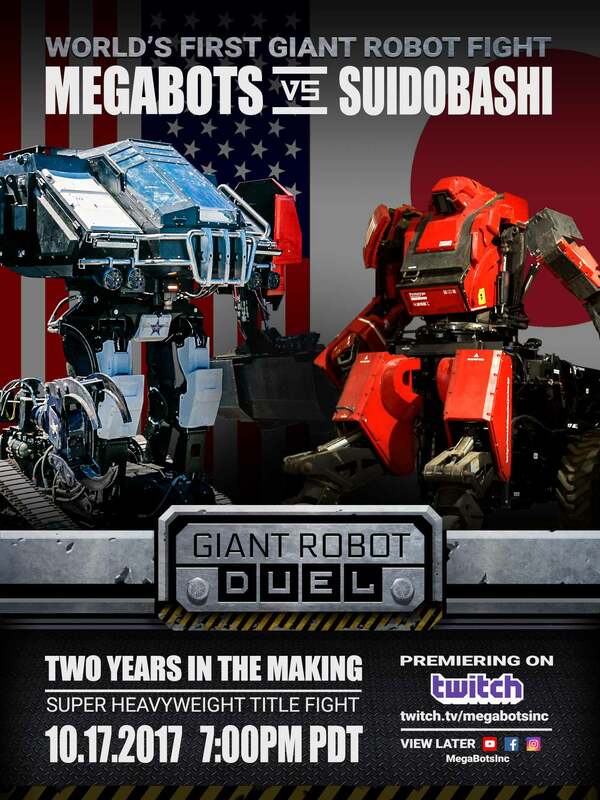 Fast forward to 2015, Megabots inc from the US of A completed their own piloted mech Mk II MegaBot and challenged the Suidobashi Heavy industries' KURATAS of Japan to a robot duel to take place in a year. Suidobashi accepted the challenge and the world waited for this epic duel. It is now 2017, a year longer than the initial challenge and the duel is now within an hour from now! The fighting will be a knock out system where disabling or knocking over the opponent will earn a victory. Join us here as we watch history unfold between the Eagle Prime and KURATAS, and see what will happen in this robot versus tractor robot fight.